← Celebrating life–even at death’s door! NOTE: Havens was one of my first musician interviews — and one of the best! Because I was green I didn’t know “phoners” (business slang for phone interviews) were typically supposed to be between 20 and 40 minutes. Havens and I talked the afternoon away. At the end of it, he asked me to come to the show and meet him. When I did, he said our conversation stood out as being one of the best interviews he has ever had! Thanks Richie!! 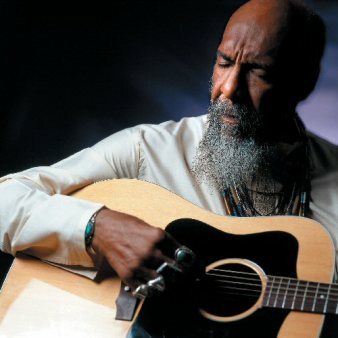 As he watched over a sea of people while on stage at the Woodstock festival in 1969, Richie Havens got a sense of which way the wind was going to blow as the days moved forward. He started singing the word “Freedom” over and over again realizing at this moment that his generation found its voice. Partly because of his talents as a singer and partly because of his ability to read the moment, Havens became a bellwether symbol for the festival. And over the years the festival became a cultural buoy for the baby-boomer generation. “I was looking out over the people as I was strumming and this thought came to me. This was the freedom that my entire generation had been looking for,” said Havens. All these years later and Havens is still a crowd pleaser at festivals who always tries to pay attention to his audiences and give them what they want. Havens thinks of his performances as spiritual events where a bond is forged between himself and audience members. He never follows a set list. It is one of the ways Havens tries to keep things exciting. He only plans the first song he is going to play in advance, and he says — of course — the last song is always “Freedom.” Everything in between is a chance for Havens to interact with his fans. The approach has worked over the years. Havens said he has never had trouble finding an audience, and he has never tired of what he does. “It’s still like the first day to me,” said Havens. In fact, Havens still fondly remembers the children’s songs he sang while growing up in Brooklyn in the 40s. Havens joked that these songs foreshadowed his music career which has been full of accessible folksongs, artistic integrity, and there certainly were many protest songs in his bag over the years. As a kid Havens sang hymns in churches and doo-wop on the streets. But it wasn’t until he ventured into Greenwich Village in the late 50s that he found himself. Havens said the boys that he played stickball with on the street used to poke fun at him by calling him a beatnik. He realizes that they meant it in a pejorative sense but the name was a blessing in disguise when he realized that there were other beatniks in Manhattan. Havens headed for the city and found artists of all kinds. There were painters, poets and musicians. Havens tried all of it. Jack Kerouac encouraged him to write poetry. But it was songwriter Fred Neil who got Havens to play guitar. “I spent a lot of time in the coffee houses listening to all of these great singer-songwriters. They were singing songs that changed my life,” said Havens. Every weekend Havens would go into the city and take in as much as possible. He said he was always singing along in the audience and then one event changed the course of his life. “One day Freddy Neil came up to me and said ‘Hey Richie you have been singing along with me for a year now. Here’s a guitar. You take it home and home and learn the damn songs.’ So I did,” said Havens. Havens couldn’t wait any longer to be part of a crowd that included Tom Paxton, Fred Neil and Peter, Paul and Mary. So he took the guitar home and figured out a way that he could learn to play it fast. By tuning the guitar a certain way he was able to play it almost immediately. In a few days he learned some of the songs that he had been watching Neil perform. By the weekend he was up on stage and these soon-to-be-legendary artists were his peers. However, Havens didn’t lose his humility just because he was on stage. The budding musician realized he had a lot to learn. Up to this point Havens said he typically wrote a song every day. But now he changed his tack. That has been Havens’ method ever since. Listeners will find many cover songs on his albums, from Fleetwood Mac to Pink Floyd. He picks songs that mean a lot to him in hopes that they will have a similar effect on others. “Whatever song I sing you can bet it is a song that has changed me personally,” said Havens. Havens said performing songs is his contribution to the world. “I feel I am sharing what others have shared with me,” said Havens. 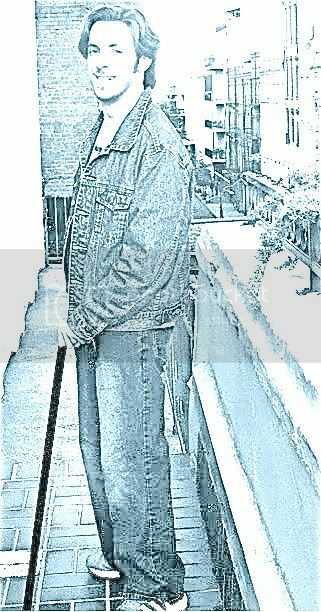 Gene Myers is a New Jersey poet, music journalist and columnist who learned to walk twice. His weekly column is called The Joy of Life. He was awarded first place in Arts and Entertainment Writing by The New Jersey Press Association. This entry was posted in interview and tagged Fred Neil, Freedom, Greenwich Village, Jack Kerouac, Paul and Mary, Peter, Richie Havens, Tom Paxton, Woodstock. Bookmark the permalink. Yes, songs have to affect you personally, and have the scope to change you. But that is music. It has the potential to communicate more effectively than words.